Z-cakes got all dressed up for our church Halloween party. (That makes 4 times so far that she's gotten to wear her costume. Yesssssss!) I took pictures of her on the deck and the well-known struggle with opening her eyes AND looking in my general direction AND smiling continued. At the party several people told me that they loved my nerd costume and I didn't have the heart to tell them that I was actually just wearing my regular clothes. 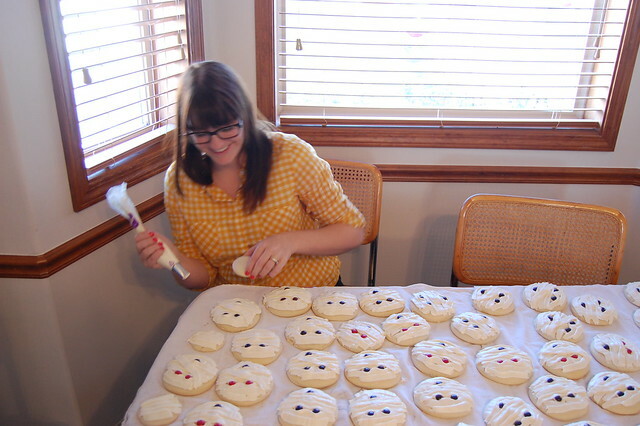 We spent the rest of the weekend in Burley where my sister-in-law and I turned approximately eleventy thousand sugar cookies into mummies. We had a little birthday celebration for my brother who is turning 26 on Tuesday. 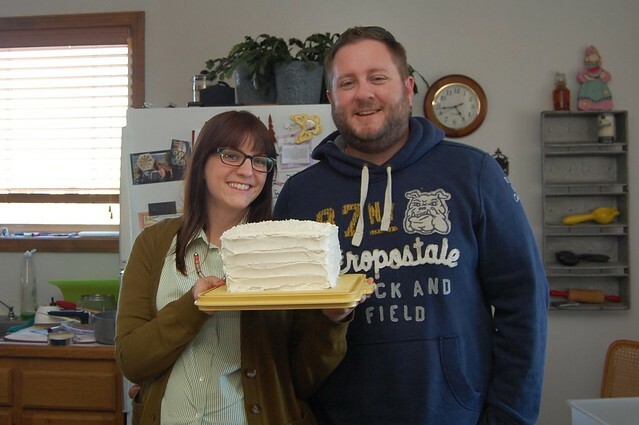 I made the White Out cake from Baked and oh my lands that recipe is a keeper. It was especially delicious with the raspberry filling I included. No, seriously. 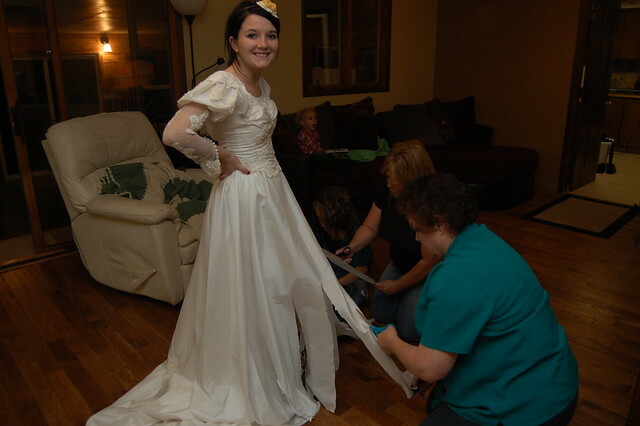 At the end of the night my sister-in-law decided to cut up her wedding dress to turn it into a Halloween costume. I'm kidding. She got this dress for $20 at a thrift store. Won't she make a lovely Bride of Frankenstein? Happy Haunting my friends! 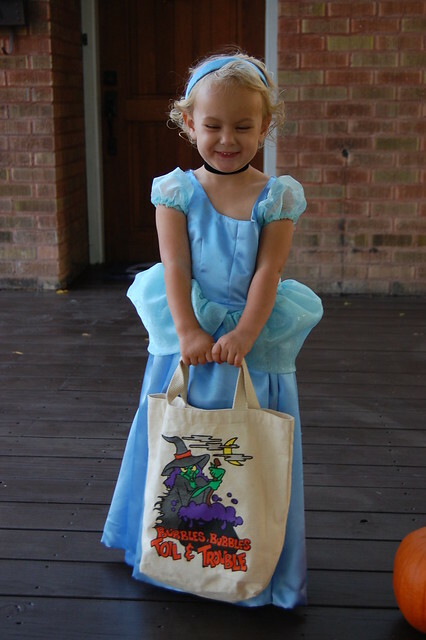 Are you Trick or Treating tonight? Love the nerd costume ;) that's FUNNY! 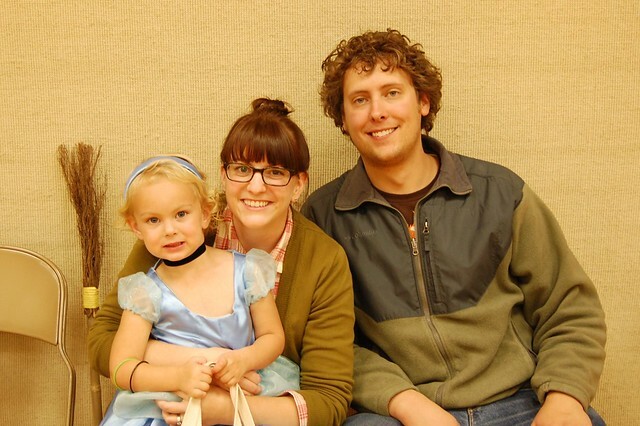 First of all, that Cinderella costume is completely PERFECT and the little girl in it is adorable! 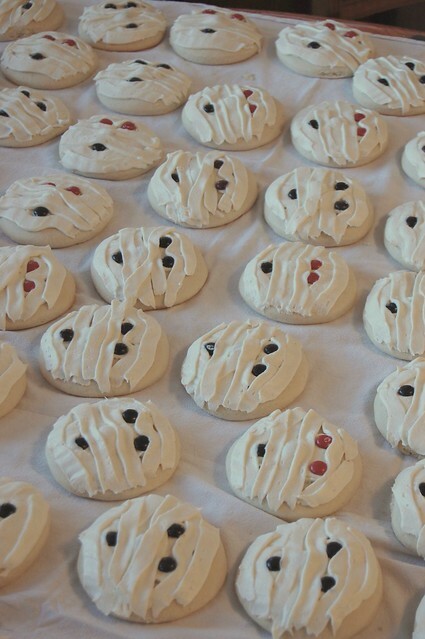 Second, those mummy cupcakes are freakin' cute! And third, you are the most chic and stylish nerd I've ever seen! Yay for Halloween festivities. 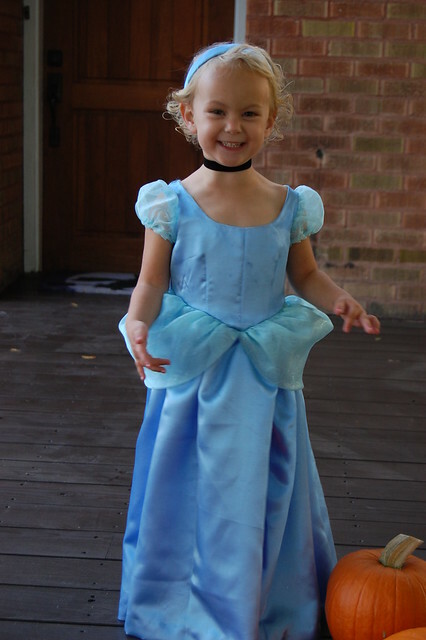 Z-cakes is a perfect Cinderella. I love your real clothes. They remind me distinctly of Emily's. And that's an awesome thing. Happy Halloween! We're planning on spending our evening at the in-laws' eating chili and watching Halloween episodes of our favorite shows. 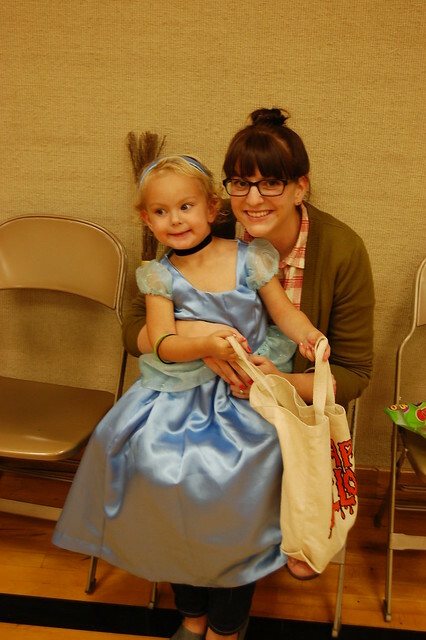 I'm way impressed with the cinderella dress! Also - your glasses look good, I think you chose well. Excellent job with Z's costume! I am impressed! Will says that Z looks very princessy, and he likes your glasses, and he thinks the mummy cookies look pretty fantastic. I agree with him. if by "nerd" you mean "j.crew model" then, yes, i like your nerd costume too. Oh my heck I didn't hear about the nerd comments. That is pretty hilarious though, and you are so nice and gracious to not lash out at them. ;) Hope you come trick or treating to our house tonight! She is darling and delicious. Way to go, Mama! And your nerd costume is rad. I love your nerd costume. You did a beautiful job on her dress! 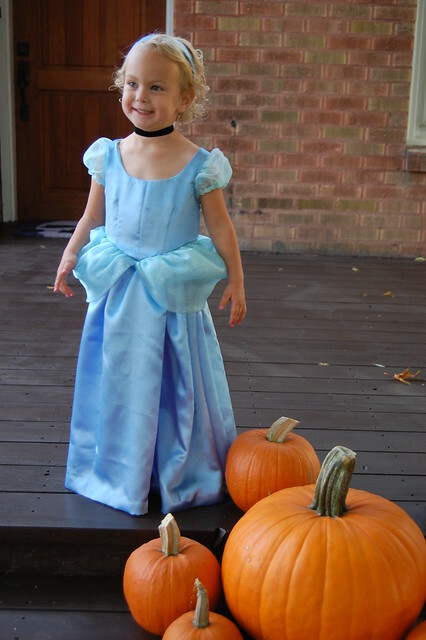 Little Cinderella is amazingly cute. Nice job on the girl and the dress! I am dying over your "nerd costume." And yes, your fashion does remind me of Emily, always always a good thing.